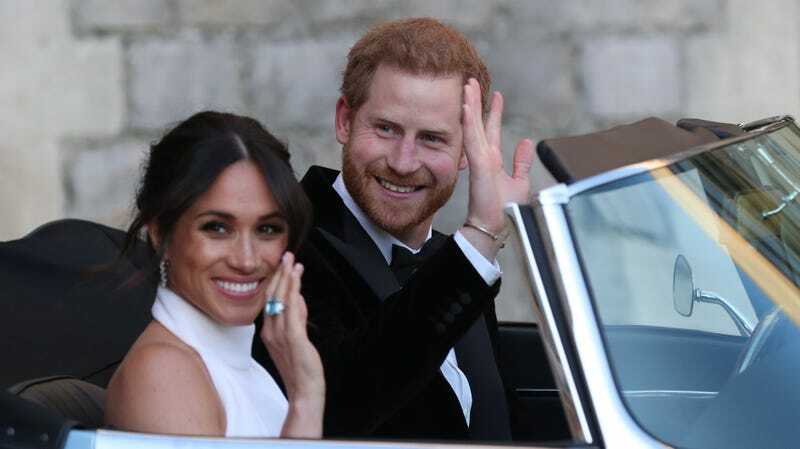 Harry and Meghan are abandoning the royal hive of Kensington Palace in favor of Windsor and Frogmore Cottage, which is part of Frogmore House, where the couple had their private wedding reception. Look—the commute was just killing them, and it’s so hard to get proper closet space in a city like London. “Now Harry and Meghan don’t want to live next to William and Kate and want to strike out on their own. And another “royal source” (here is the salt shaker again) put it more specifically on the wives, telling Richard Eden at the Daily Mail: “There is no reason why their London home has to be at Kensington Palace. There are plenty of other options, including using their own money to buy their own place,” adding “Catherine and Meghan live very different lives, and that is likely to become more marked over time.” The tabs are clearly seeing if they can get a little juice out of a potential family rivalry, but of course paths are going to diverge between the family of the heir and that of the spare. Harry and Will were never going to cruise into middle age living in the same cul-de-sac and coaching little league baseball together. And would you want your older sibling, the future king of wherever, able to pop over anytime and critique the arrangement of your spice rack? Purchased for the royals by Queen Charlotte in 1790, the cottage has more recently been chopped into five separate apartments for staff, and before Harry and Meghan can relocate, it’ll have to be revamped into a “luxury family home,” one that includes “10 bedrooms & a new nursery plus space for a gym & yoga studio.” And so we have baby’s first royal expenditures dust-up. And since this was probably your first question: yes, “The name comes from the high number of frogs which live in the low-lying marshy area, which is set within a long sweeping curve of the River Thames,” according to ITV. Although lately they’re likely drowned out by the roar of the Heathrow flight path. Romantic! Both Albert and Victoria and Wallis Simpson and Edward VIII are buried on the grounds of the Frogmore estate, a detail that the tabloids are literally never going to shut up about.